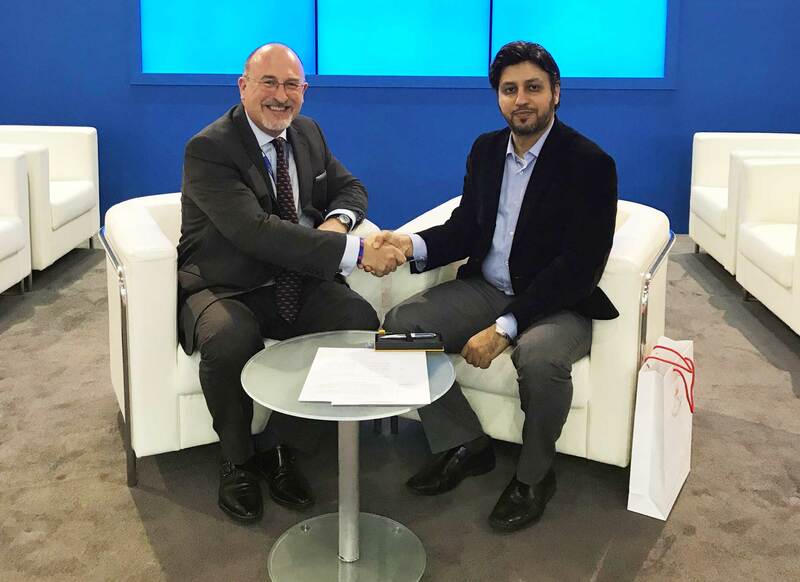 Ian Bell of CAE (left) and Dr Dhafir Awadh Al Shanfari, OAPFD, celebrate the signing of an agreement for CAE to support the Oman Aviation Academy. The Middle East state of Oman is to open its own pilot training facility, the Oman Aviation Academy, with the backing of training specialist CAE. CAE has signed a service level agreement with the Omani Authority for Partnership for Development (OAPFD) to support the creation and establishment of the Oman Aviation Academy. CAE will provide key elements required for world-class ab initio pilot training, including curriculum and courseware as well as safety management and quality control systems. In addition, flight instructors who will teach at the Oman Aviation Academy will be trained by CAE. The Oman Aviation Academy, based at Sohar International Airport, will be a CAE Authorised Training Centre, and will train and supply pilots for both the civil and military sectors in Oman and the surrounding region. “The Oman Aviation Academy will play an important role in supplying highly-skilled pilots across both our civil and military aviation sectors, as well as helping to develop the Sultanate’s national economy through the expansion of our local aviation industry,” said Dr. Dhafir Awadh Al Shanfari, Chief Executive Officer of the Omani Authority for Partnership for Development.